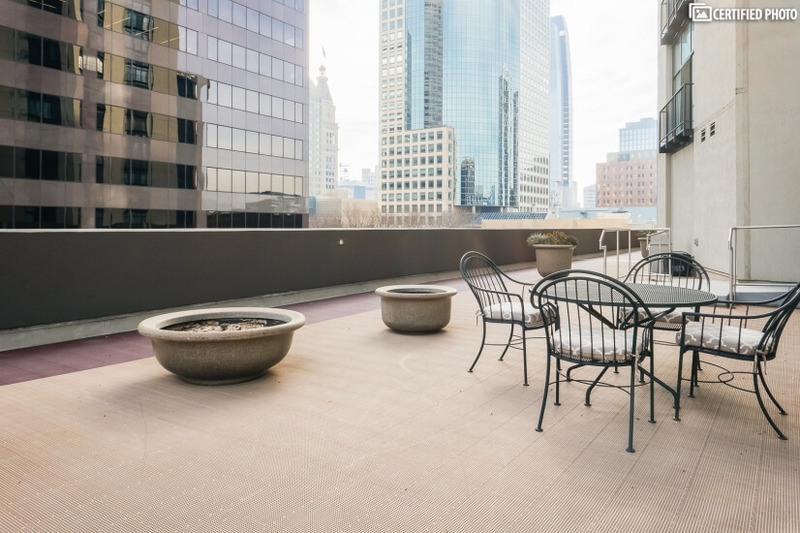 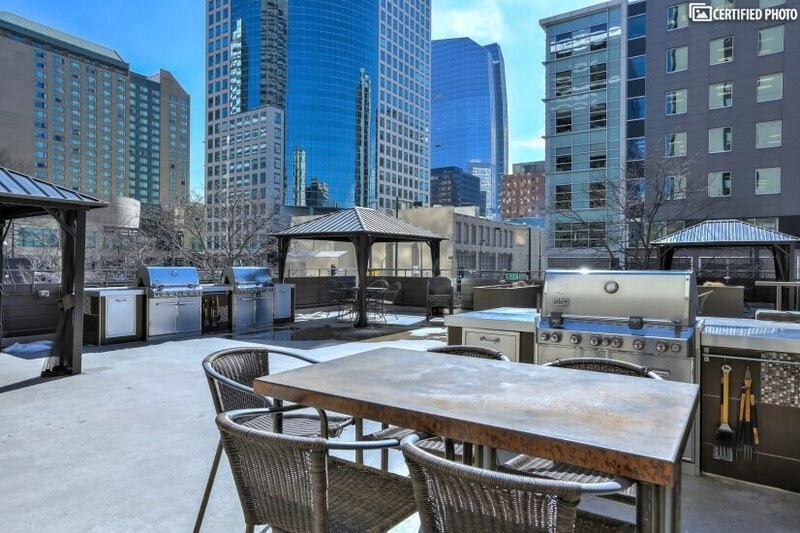 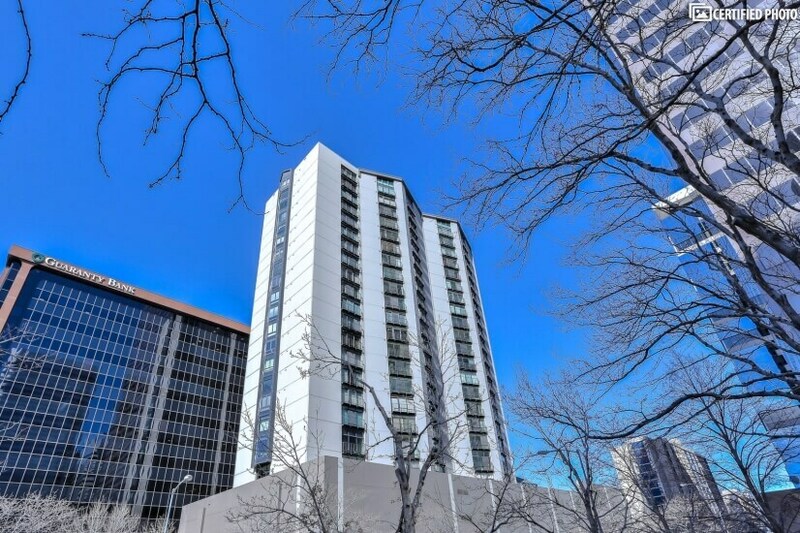 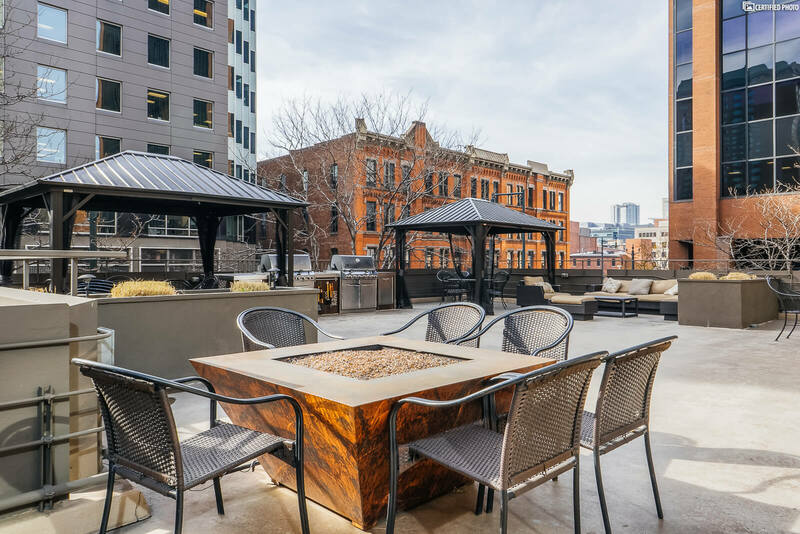 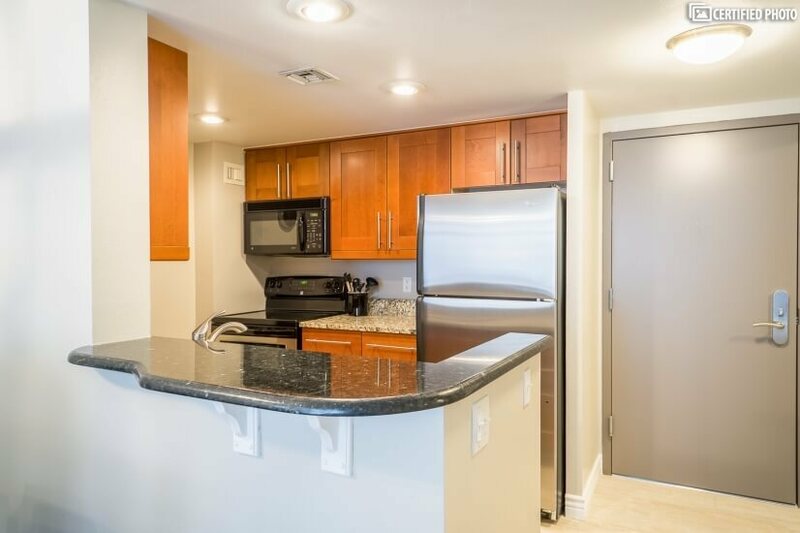 This CHBO Certified, fully furnished downtown Denver spacious one bedroom, office and one bath rental condo offers a killer combination of location, amenities, and quality of life. 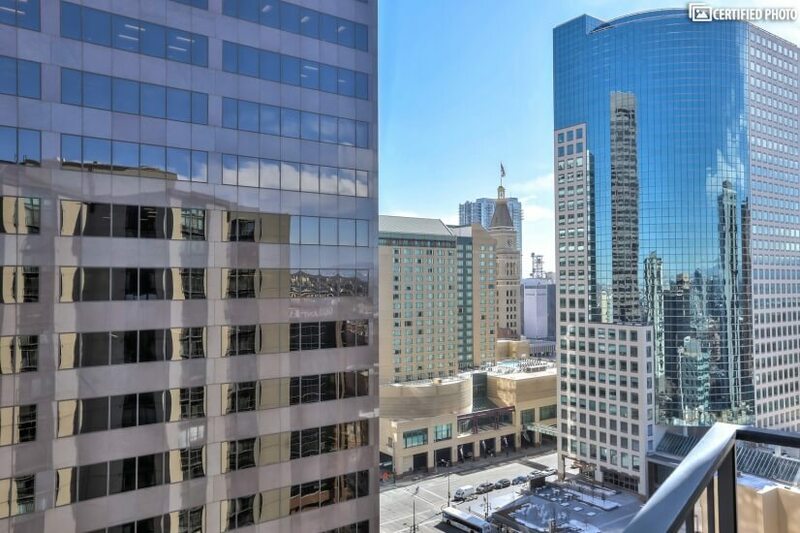 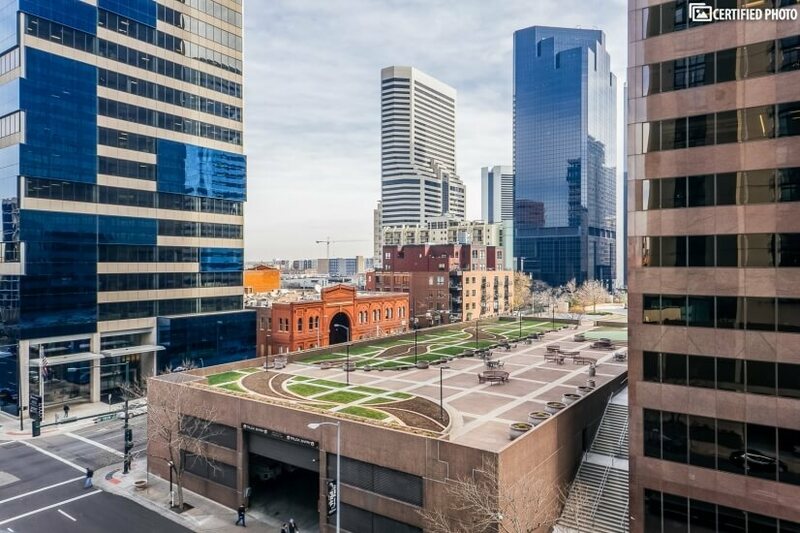 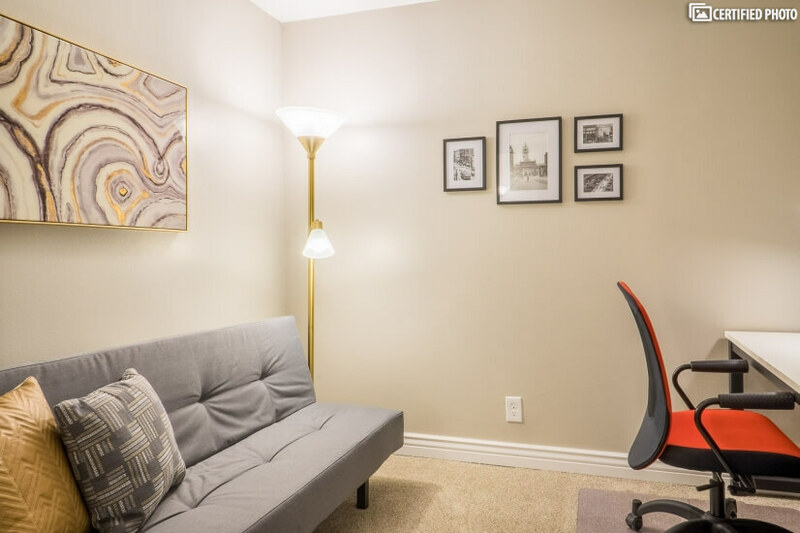 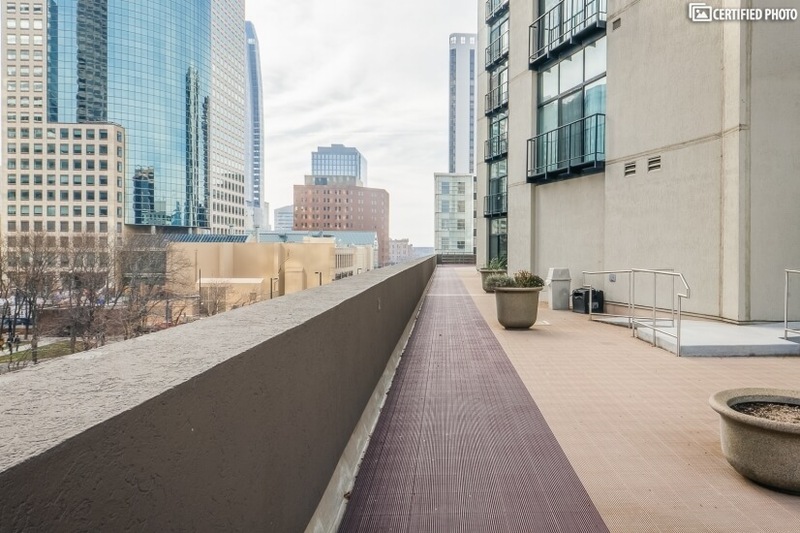 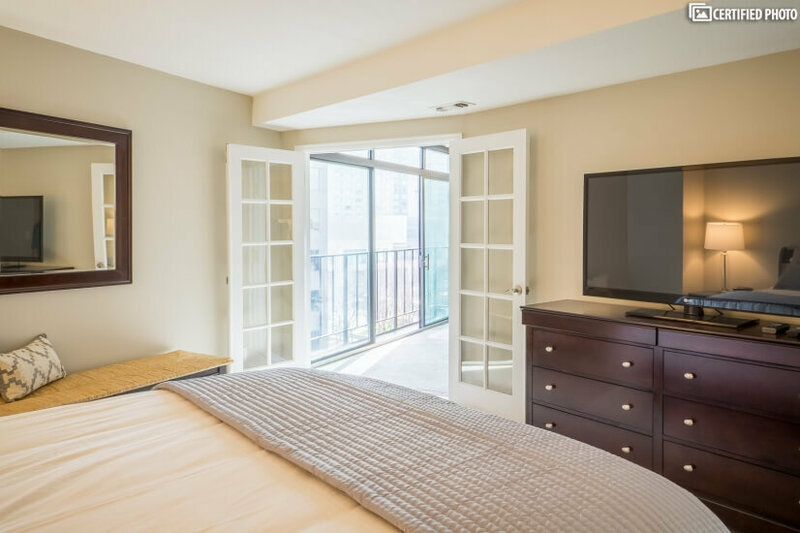 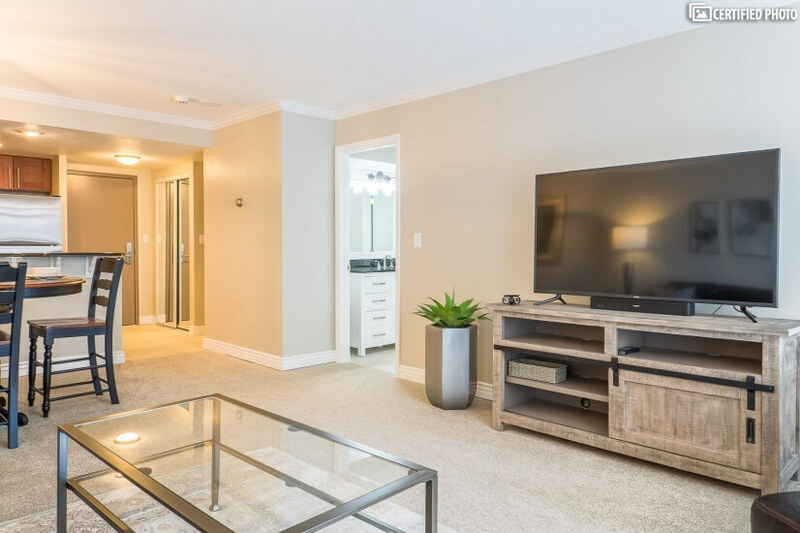 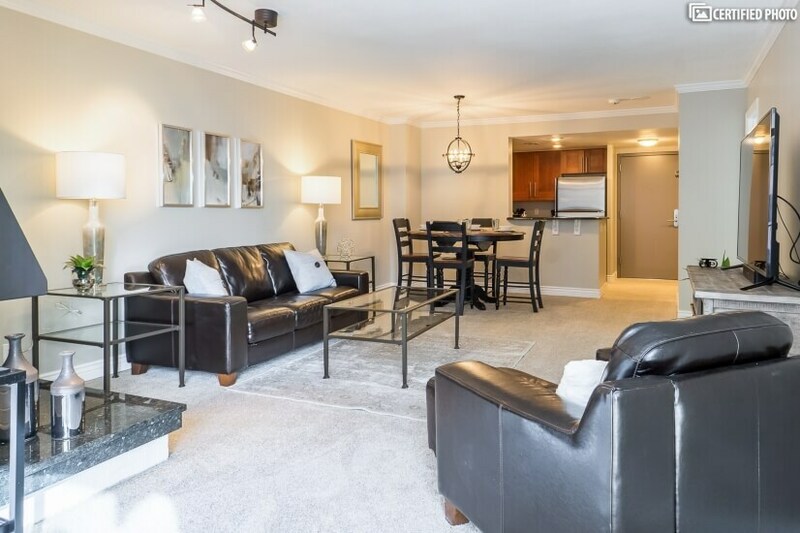 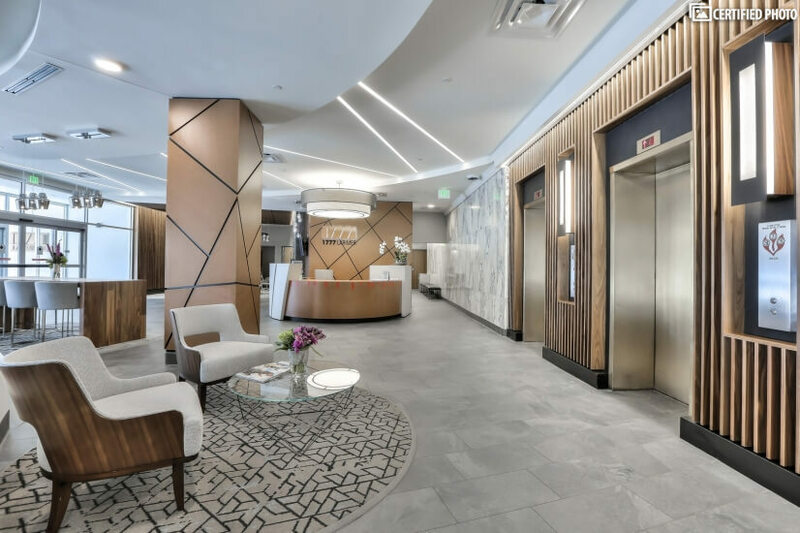 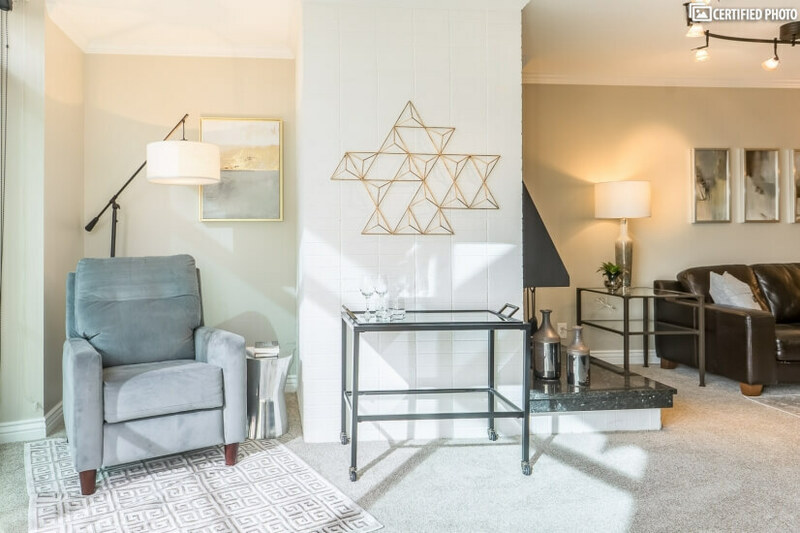 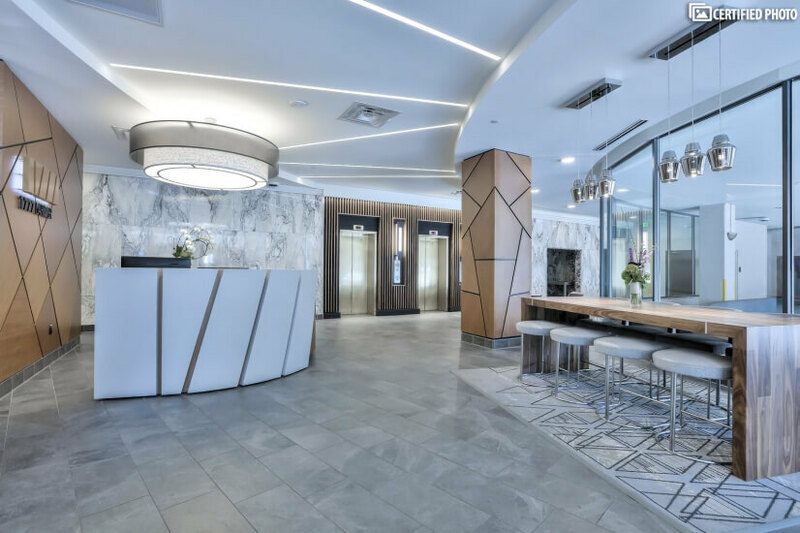 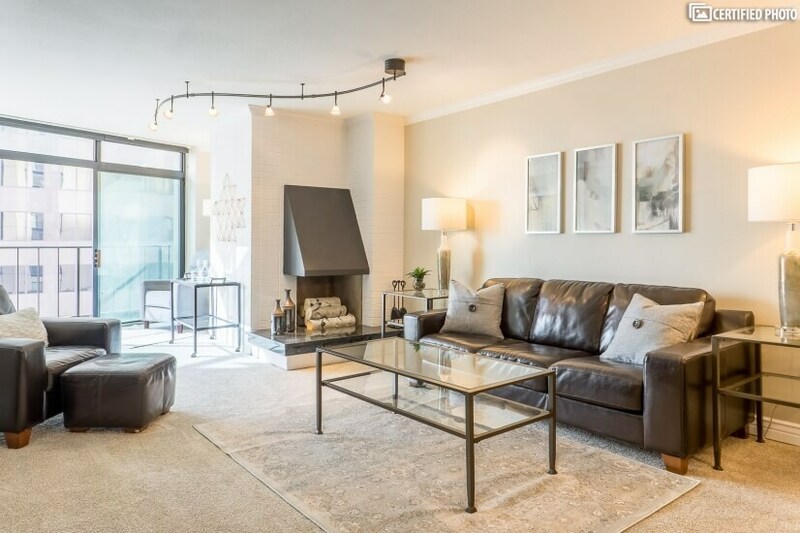 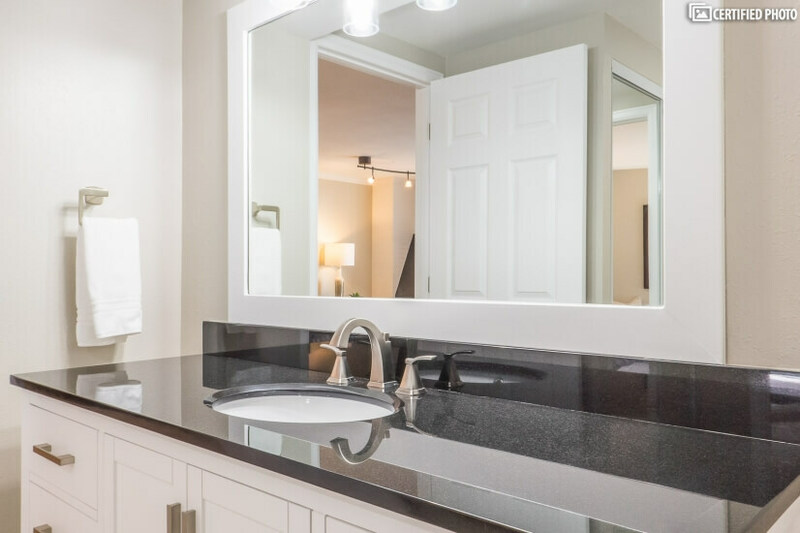 Located in a gorgeous residential building in the absolute heart of downtown, you’ll have a commute as short as a few blocks walk, a boatload of amenities to enjoy, and this sophisticated city and the Rockies at your feet. 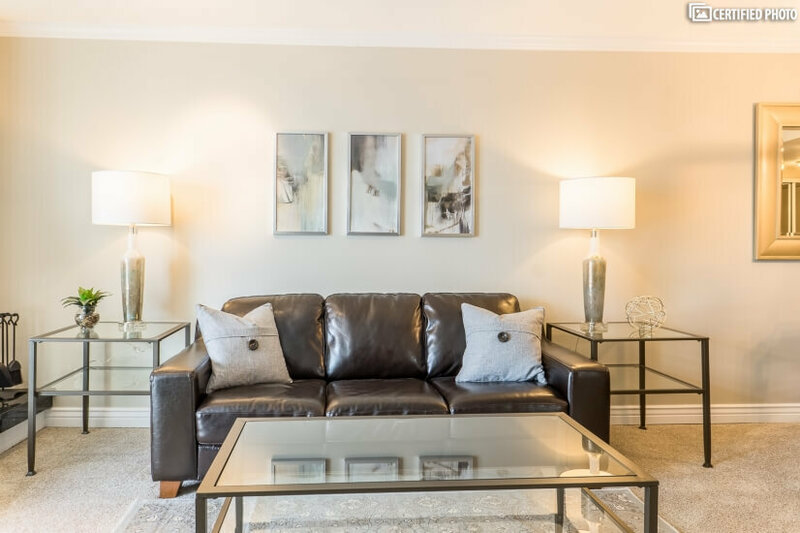 The well-reviewed owner has renovated to a high standard, and welcomes you for stays of one month or more. 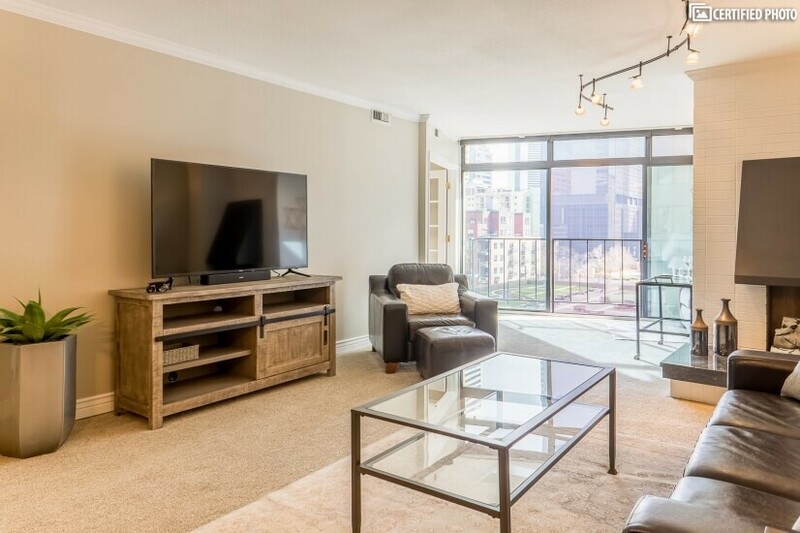 Enjoy a short walk to World Class entertainment, shopping, and dining from this perfectly located apartment. 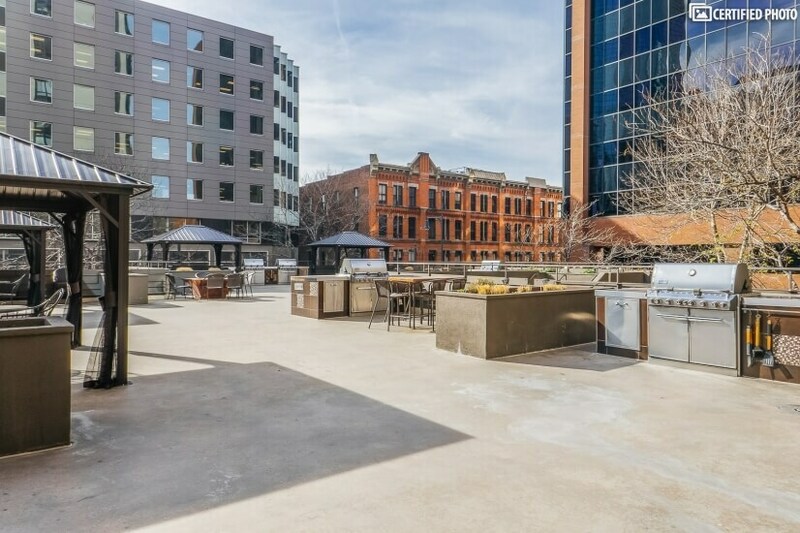 The 16th Street outdoor mall, Larimer Square, and the restaurants and pubs of LoDo are strollable in a few minutes. 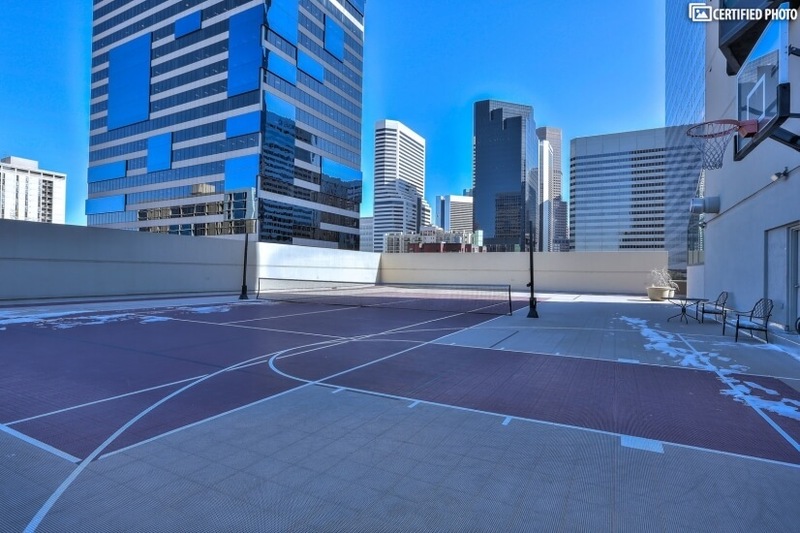 It's an easy walk to many of Denver's wide variety of cultural, sports and concert venues. 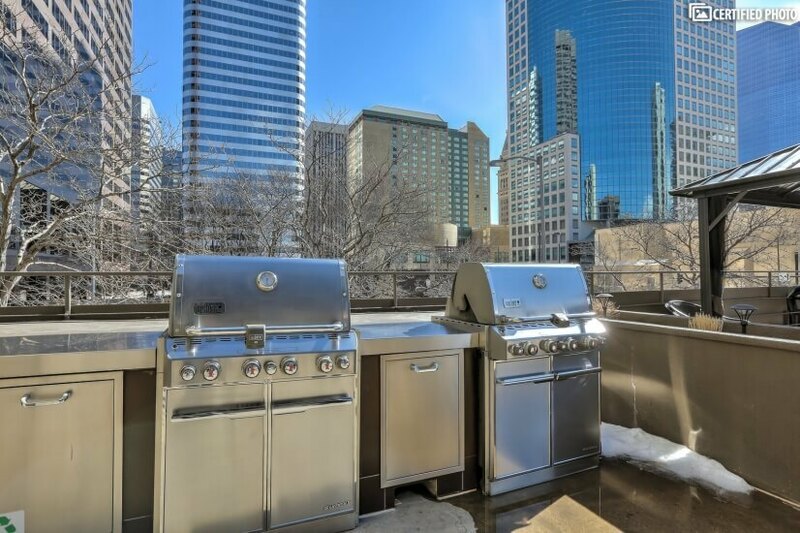 You’ll fall in love with this apartment in the sky. 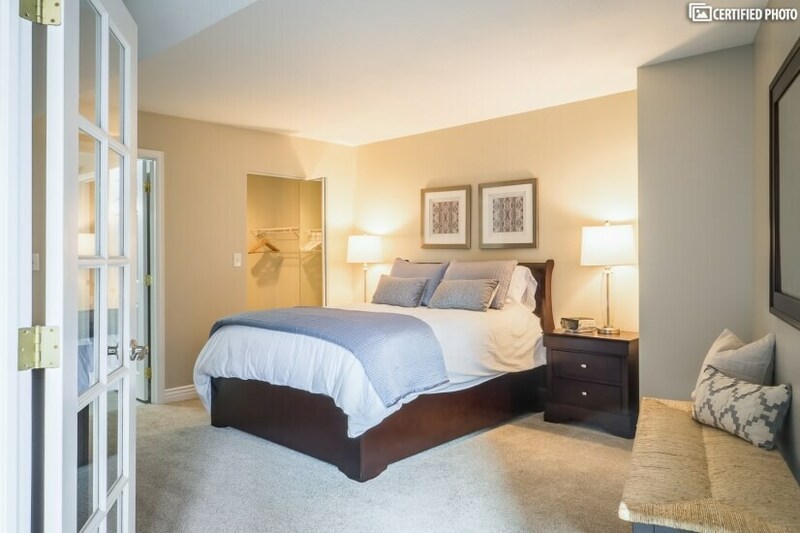 Spread over more than a thousand square feet, it’s bright, spacious, and full of high-end furnishings. 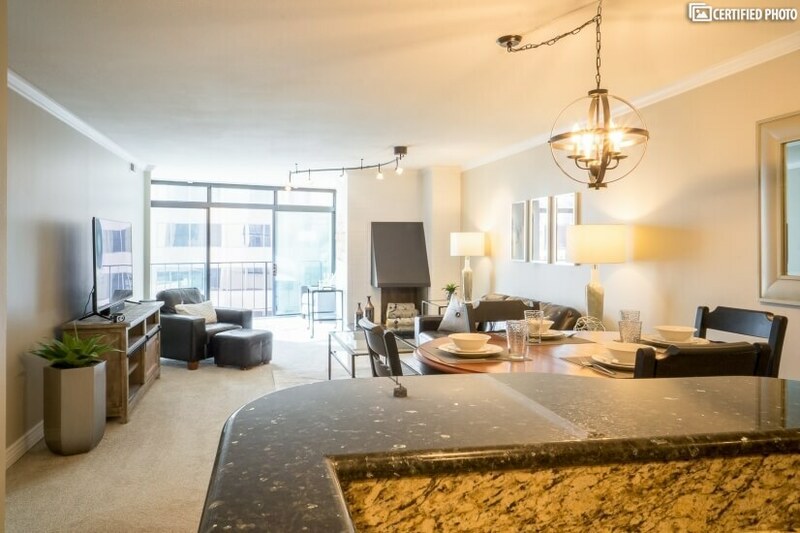 The central great room combines kitchen, dining, and living room in an open plan format. 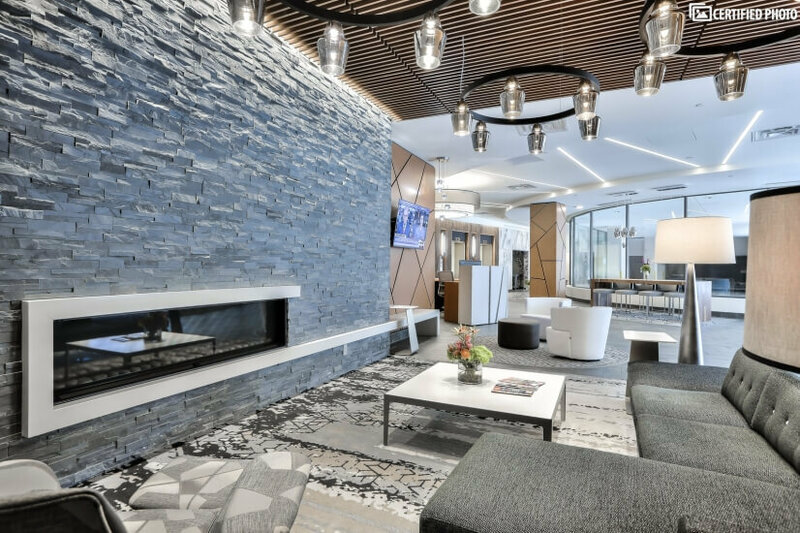 Track lighting illuminates a carpeted space with leather sofa seating and a huge 65” LCD 4K TV with Bose wireless sound bar. 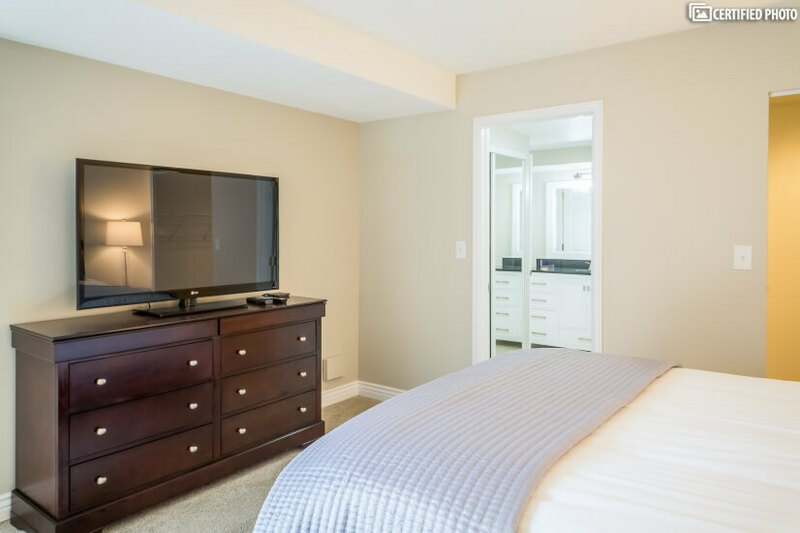 Provided cable will ensure there’s always something good on, or use the in-home ultra-fast Wi-Fi to stream your favorites. 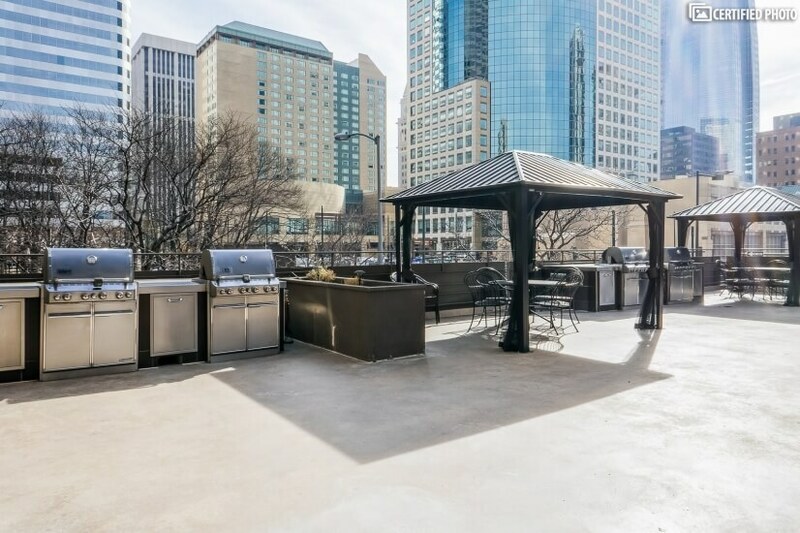 There’s a bonus here; a recliner with a commanding view from the floor to ceiling glass leading to the balcony, where you can take in the fresh air surrounded by skyscrapers and green park views. 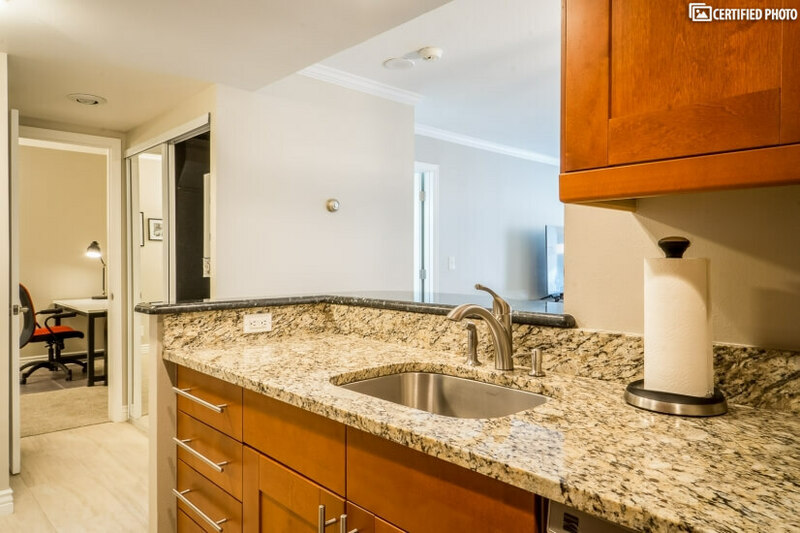 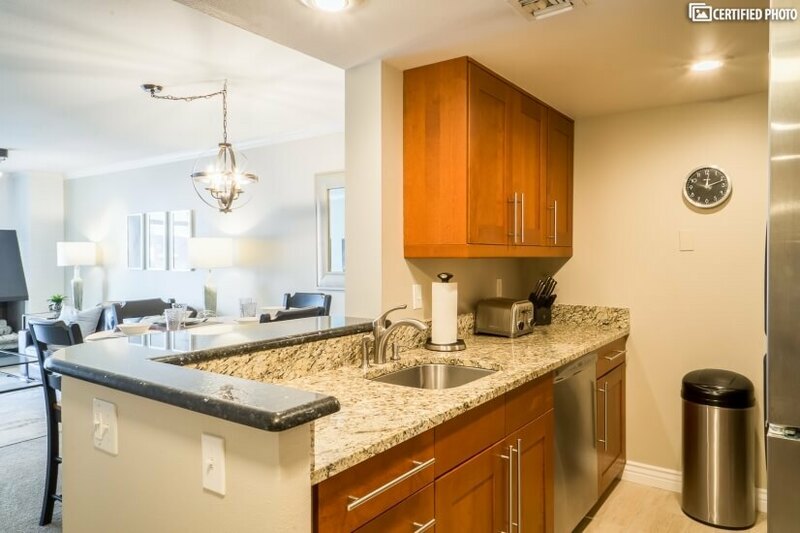 Preparing a meal or snack in this upgraded kitchen won’t be a chore on the slab granite counters, surrounded by beautiful maple cabinetry and stainless steel appliances. 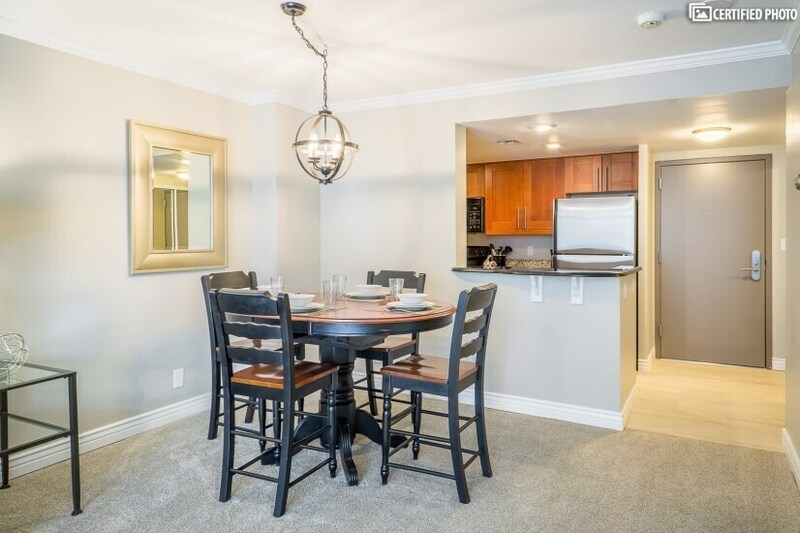 The half wall pass through counter opens to the dining room featuring a four seat round solid wood table. 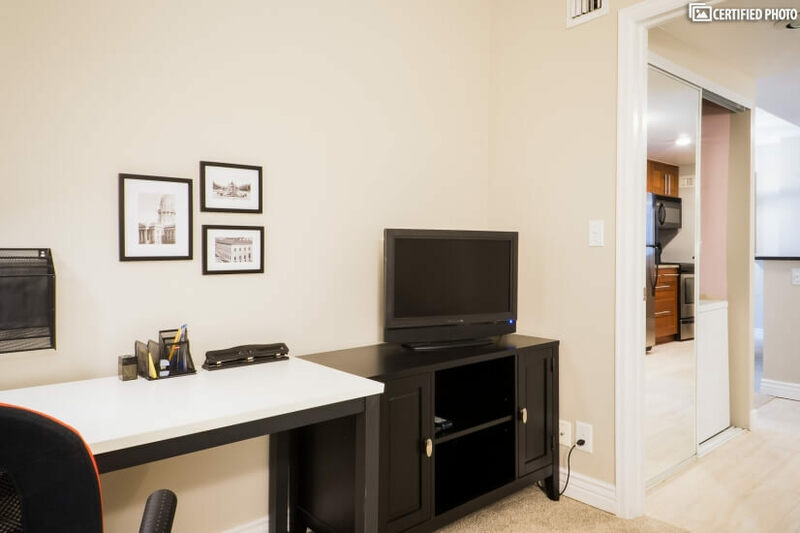 Another bonus here is a full office with a fold out futon, work desk and chair, TV/Monitor and credenza. 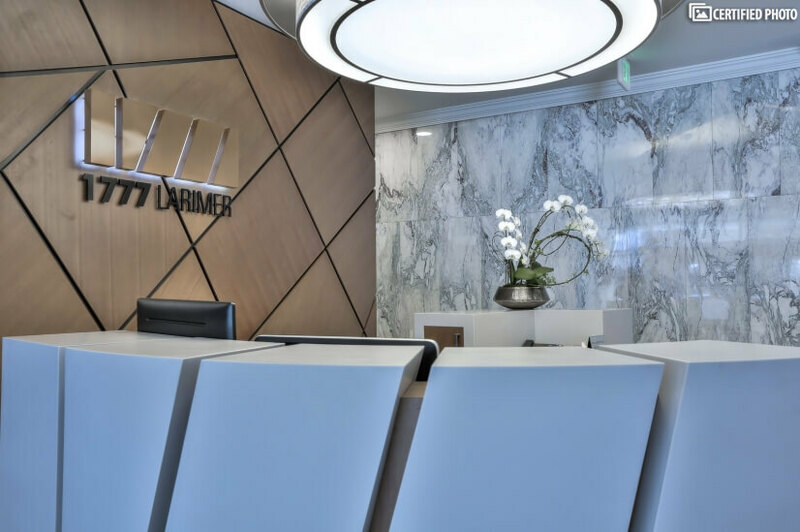 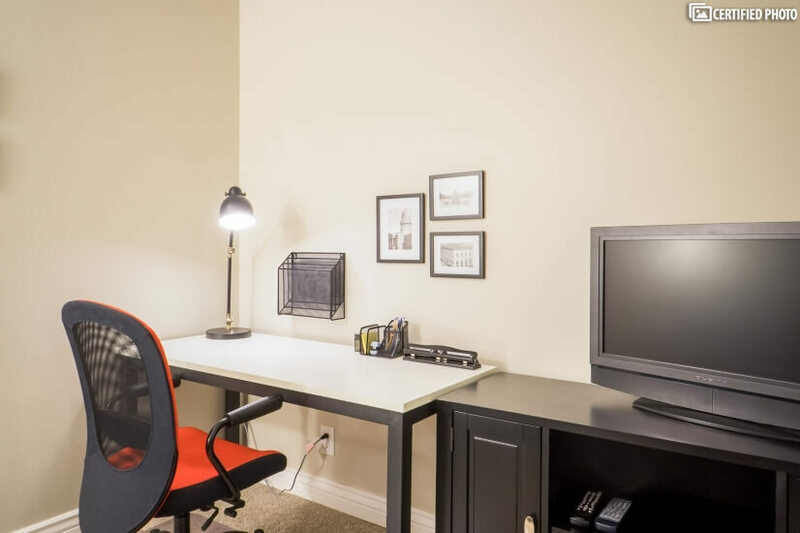 Perfect for staying productive during your assignment, or planning your relocation or exploration of the city, you’ll love having this dedicated office space. 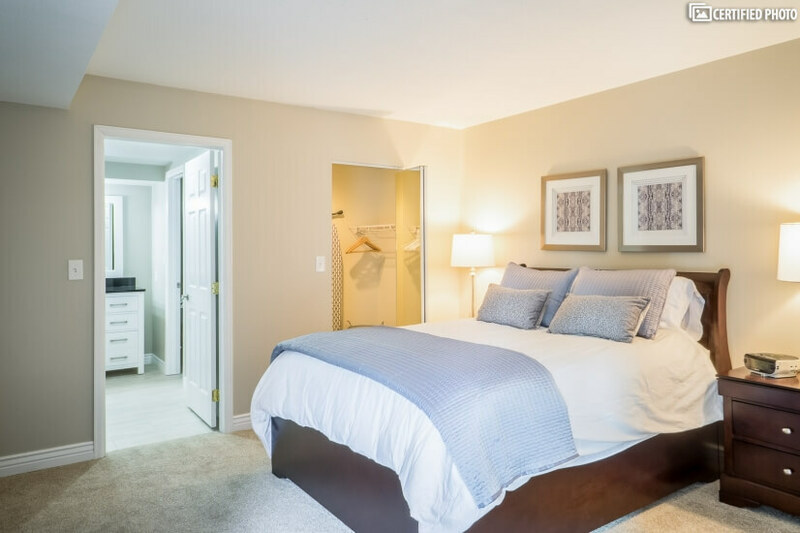 After a hard day’s work, retire to a master suite with French doors to greet you, a queen bed on a sleigh frame with soft linens, a walk-in closet, and en-suite bath. 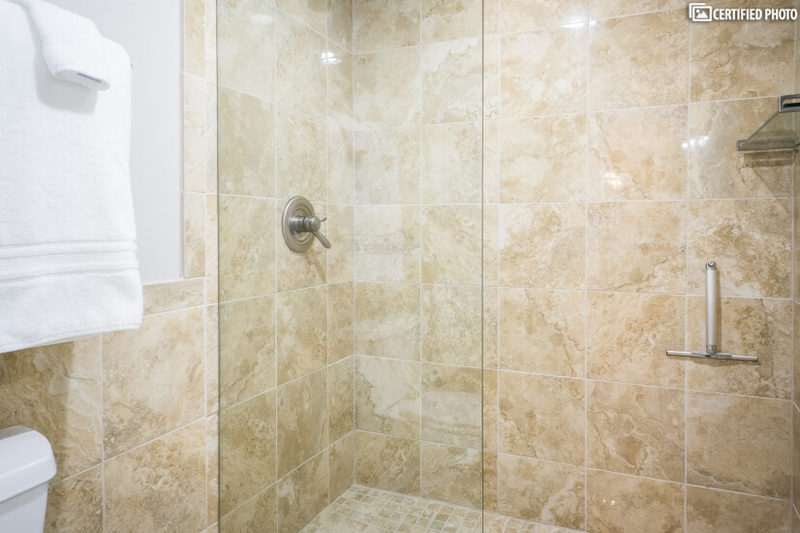 A walk-in travertine tile shower and privacy toilet join a spacious vanity to set a luxurious standard. 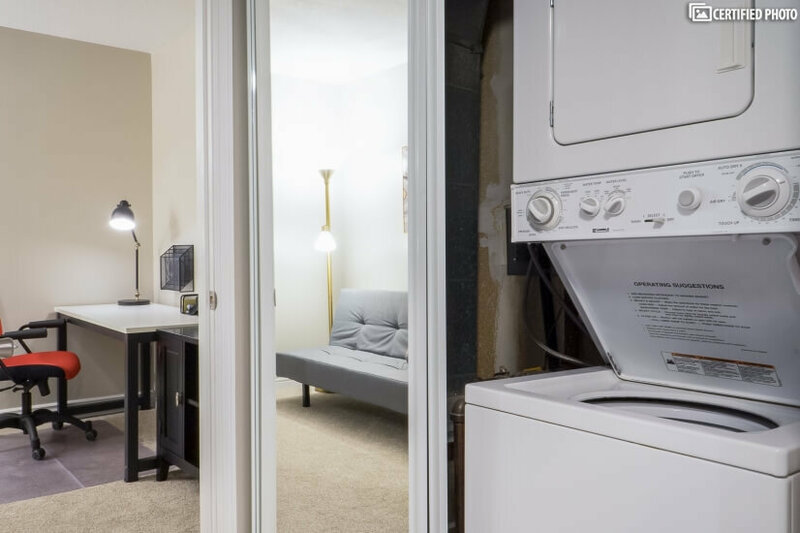 There’s even a washer-dryer in the unit so you won’t have to take your laundry out! 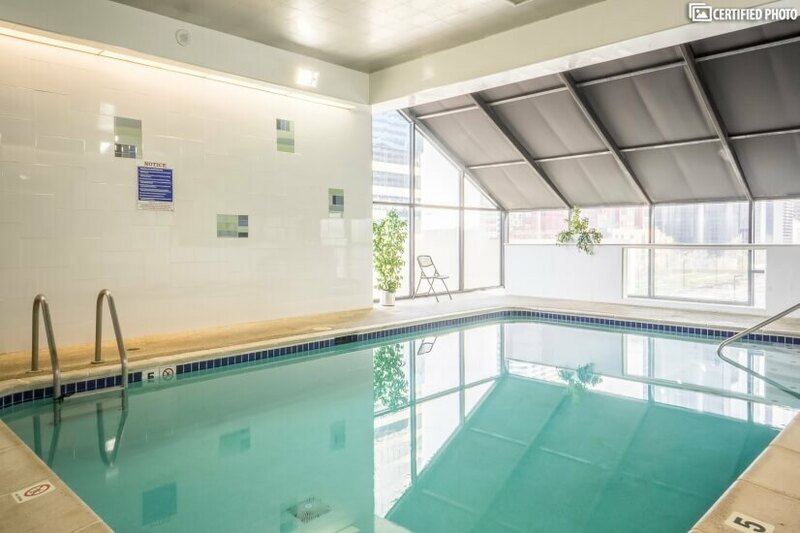 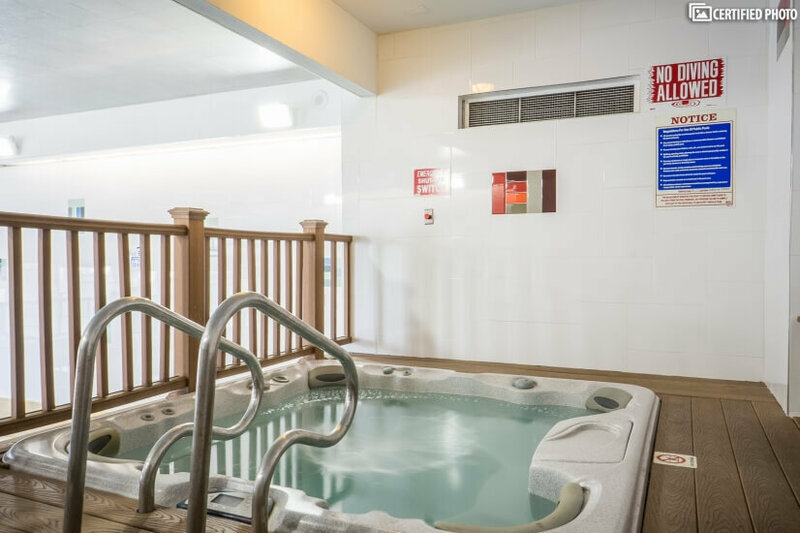 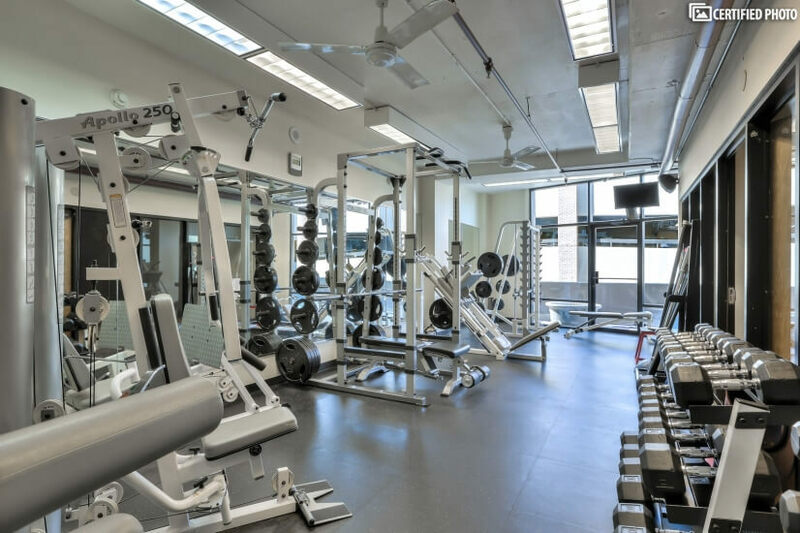 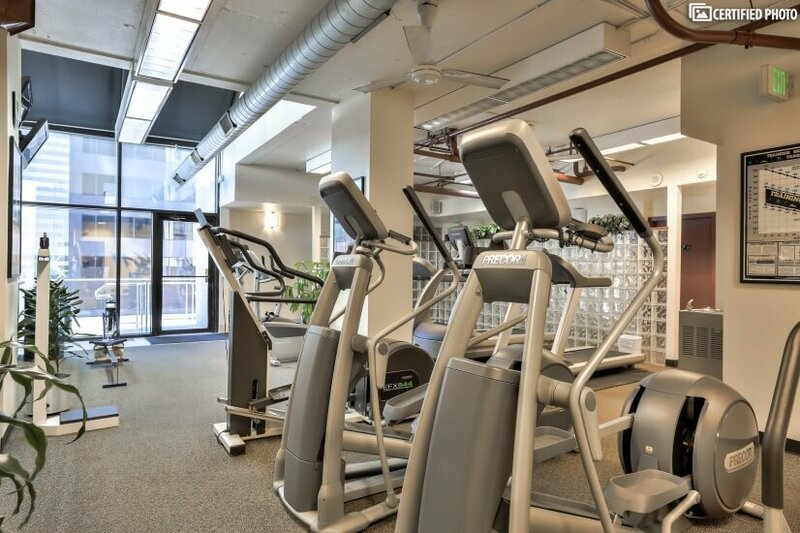 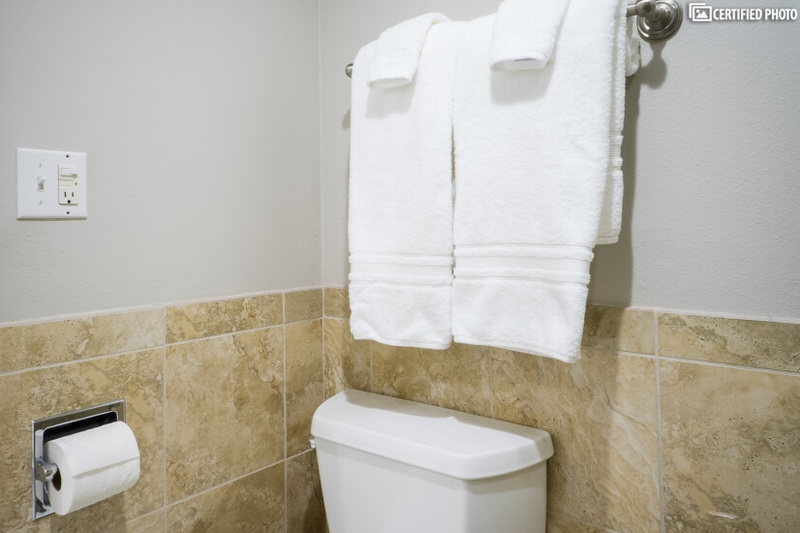 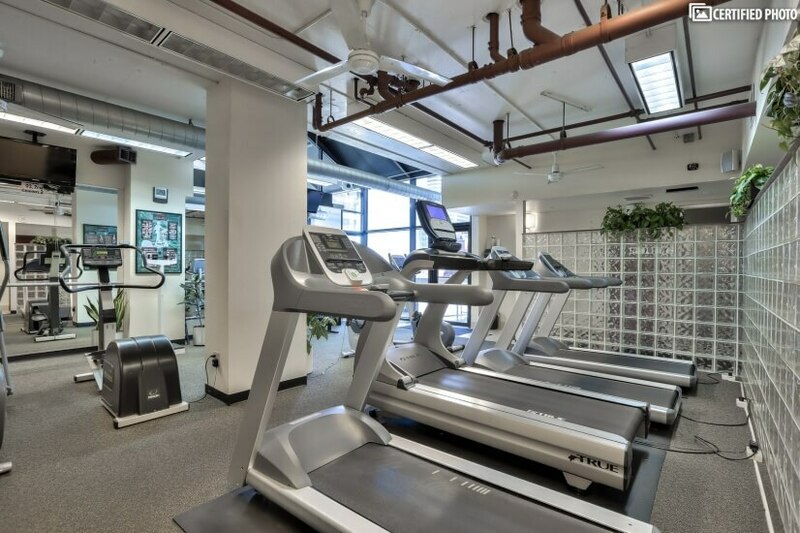 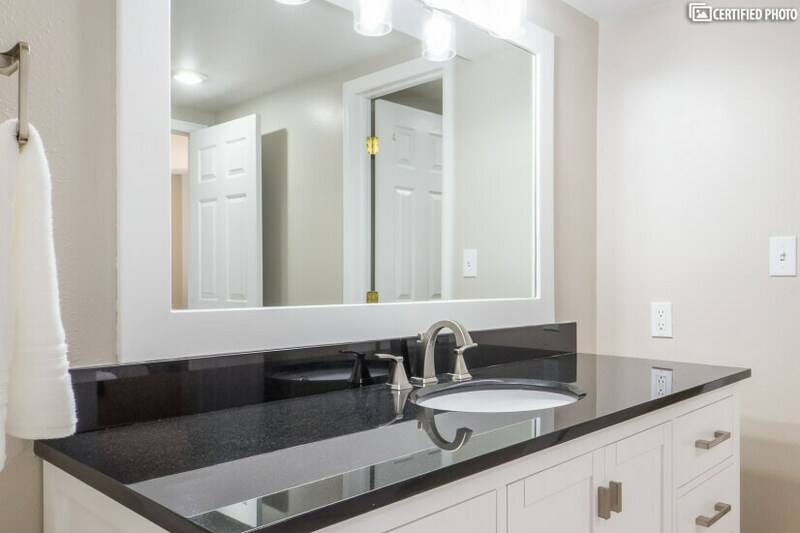 The building amenities include a fully equipped fitness center, outdoor running track, tennis court, an indoor pool and hot tub, and a grilling area with propane barbecues and fire pits.